This passage out of 1 Corinthians 13 may be one of the most familiar in the entire Bible. It is a commonly used wedding passage and it gets plenty of airtime both in and outside of the church. However, I could not write notes quickly enough as I listened to this week’s sermon! John and Luanne shed so much light on what these verses actually mean–both in definition and in practical application. It is difficult to know where to begin this week… I can’t possibly cover all of the life-giving truth that was shared with us–there were so many outstanding points–so if you missed the sermon, please take the time to listen to it. Luanne, quoting pastor Scott Sauls, shared that, “Love has to be a person to us before it can become a verb…[It] is caught rather than achieved… The more we are with Jesus, the more we will become like Him“. So, we can’t love until we have experienced love. Not in the way this passage is defining love, anyway. It is important that we understand that this love we’re talking about, it’s not the watered-down English word we throw around as we go about our days. The word that is used is “agape”. This love is a selfless love, a love that willingly and joyfully thinks of others without condition, a love that moves. It is “a love that loves on despite reaction or response” (Jill Briscoe). This kind of love, it only comes from God. We have the air. We have the love of Almighty God in the person of Jesus Christ. Our “masks” are firmly and forever connected to the endless supply of God’s great love. We know that experiencing this agape love, it changes everything. It brings life, freedom, peace, joy and all of this in abundance. “Everything we have in Christ is for us AND everyone“. Are we living as though everything we have in Christ is only for us? As though love bears all things, believes all things, hopes all things and endures all things for us–but not for everyone else? People are going to die without their masks connected to the love of God. We have the air. We’ve experienced this love. We are eternally connected to the endless supply. What are we doing with it? Is what’s flowing into us also flowing out of us? In what measure? Are we “catching” the love of Jesus by spending time with Jesus, learning what this agape love looks like and acts like in a life? Are we mindful of those around us, aware of their need for help connecting to this supply we’ve tapped into? 1st Corinthians 13 is, like Laura wrote, an incredibly familiar passage. Before preparing for this message, I had (like many others) disconnected this passage from the rest of the book. Paul was frustrated with the church in Corinth. They had forgotten the main thing. They were arguing about silly things like which spiritual gift was superior to others; they were forgetting their first love–so in the middle of chapters 12 and 14, which both address spiritual gifts, Paul takes them back to the most important thing in all of Christianity–Agape. “God so “agape-ed” the world that He gave His only son.” John 3:16. According to one of the definitions that I read: The true expression of Agape love is outward. 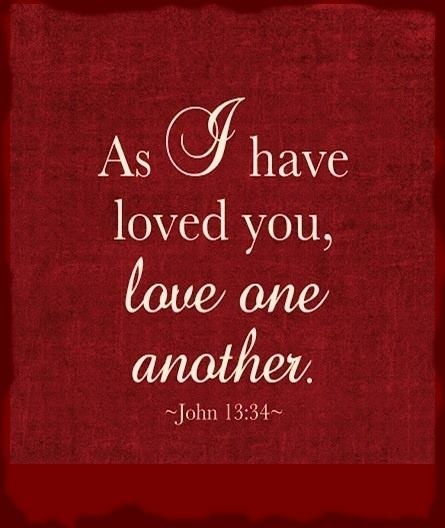 Agape love is always shown by what it does. Agape love involves faithfulness, commitment, and an act of the will. God has promised us Agape love as we allow ourselves to be filled with the Holy Spirit. The very first aspect of the fruit of the Holy Spirit is Agape. So, if Agape love is a fruit of the Spirit, how do we get it? “So if you sinful people know how to give good gifts to your children, how much more will your heavenly Father give the Holy Spirit to those who ask him.” (Luke 11:13). And then follow His lead. THEN we will begin to see people the way God sees them…ALL people. Then we will begin to love people the way God loves them. ALL people. Agape is counter cultural. Agape is different from what our flesh desires. Agape is counter-intuitive. Agape will stretch us and grow us. Agape will draw people to Christ. What could we want more than them coming to know Jesus and then becoming like Jesus? Precious, loving Lord Jesus– as we spend time with you, getting to know you, becoming more like you, please fill us with more of Your Spirit and then use the Agape that flows through us to change the world for Your glory. Amen. Will there ever come a day when I am no longer amazed at God? I don’t think so and, frankly, I don’t want there to be. Still, I’m always surprised when I see Him knit something together. Over the past few weeks, from different sources, my eyes have been opened to the obvious that I’ve just skipped over all of these years. First it was “peace”. Through all of my fear and panic I’d faithfully recite John 14:27—My peace I give to you… Sometimes I’d just say it over and over and over again. Then recently I was reading a wonderful book and I suddenly realized the Holy Spirit IS the Peace that Jesus left for me. Of course Peace is always with me! It’s not like a pizza that I have to wait to be delivered in my starving times. It was then that I realized *I* had barriers up that kept me from Peace. I’m very pleased that I’ve made good progress in tearing down those pesky boundaries when they start to block Peace. They become weaker each time I tear them down. I love them losing ground. Next was “hope”. This time I was listening to a sermon online from one of my favorite speakers and he brought to light that Jesus IS Hope. Wow! Just these two realizations blew me away. Why had I never saw or understood this before? I’ve read all of these passages dozens—maybe far more—of times! Then yesterday—in a way, the coup de grace—LOVE is a Person. Yes. I’ve always known “God is Love”. But until I had the other two words, Peace and Hope, it didn’t all sync together for me. The first two “Wow” realizations have been game changers for me. I am anxious and a bit apprehensive to see what this third piece adds to my life; how it changes me. This will be a week of deep prayer and much meditation. I want to see myself applying O2 masks everywhere I go. It has to start someplace. There’s an old song the Gaither’s sing: “Let it start in me. There’s a change a comin’, let it start in me!” Yep!